TD Library is specialized in fisheries. 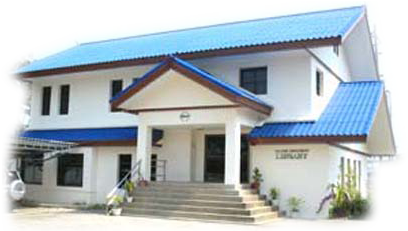 Located at the Training Department at Phrasamutchedi District, Samut Prakan Province, the library has come into existence since 1973, and has moved to its new building in early 1996. 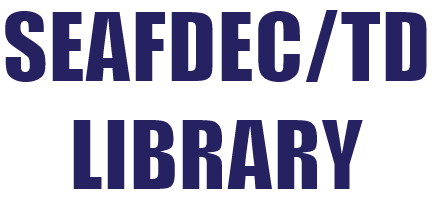 The Library serves SEAFDEC staff, trainees from member countries as well as the public. The working hours, 8:00 A.M - 4:00 P.M., Monday through Friday (except official holidays). 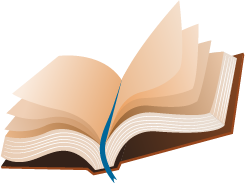 The library resources consist of publications over 7,000 titles (approximately 11,000 copies), over 300 titles of technical audio-visual materials (CDs and CD - Roms) relating to fisheries which are produced by the Training Department and other organizations including the TD publications in format of electronic files as well. TD publications are disseminated to and exchanged with the network libraries and the organizations concerning fisheries. Also, the current publications are disseminated in full text on the TD web site. The souvenir corner located in TD Library. The souvenirs are T-shirt, polo shirt, necktie, scarf, cap, keychain, and other gifts. These are for sale in the special prices including the publications and Video-CDs which produced by the Training Department.